York is like nowhere else in northern England; its medieval streets are rich with history, attracting hordes of tourists in search of a quintessentially British experience. If you’re in search of cobbled streets, quaint tearooms, Gothic buildings and evidence of a slightly murky history, this is the city for you. Not convinced? Here are 12 reasons why everyone should pay a visit to York. The best views in the city can be seen from the top of the 275 steps that climb up York Minster’s Central Tower to the highest point in the city. From here you can look down on York and admire the rooftops of the old and new buildings and the sight of the River Ouse snaking around the city. 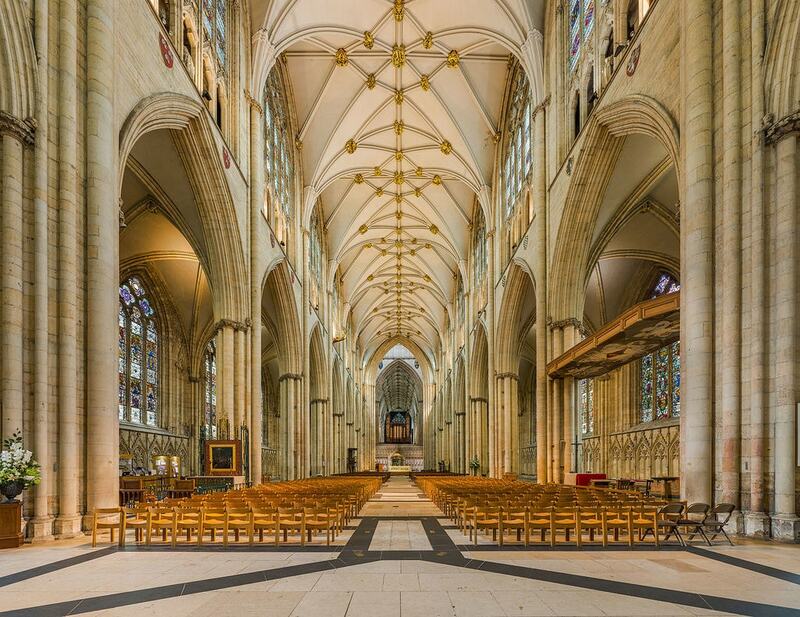 Before you head up to the roof, take some time to admire the dramatic Gothic structure of the Minster, including descending to the underground chambers to experience audio-visual exhibits of the building’s past. York isn’t all about its history, there are a surprising array of exciting contemporary art galleries scattered around the city. Begin with a visit to the newly established Art of Protest Gallery to view a collection of urban and radical art that is a complete contrast to what you will find in York Art Gallery. Other independent galleries and artist-run spaces include According to McGee, Fossgate Social and Rogues Atelier. Probably the most famous place in York, the Shambles is one of the best preserved medieval streets in the entire world. The street is part of the rabbit’s warren of narrow, twisting cobbled lanes in the city with most of the buildings dating back to the 14th and 15th centuries. Many quirky independent shops, cafés and pubs have taken up residence in the buildings, most of which used to be butchers when they were first built. The street is so narrow that when walking down the lane it is possible to stretch out your arms and touch the buildings on both sides. 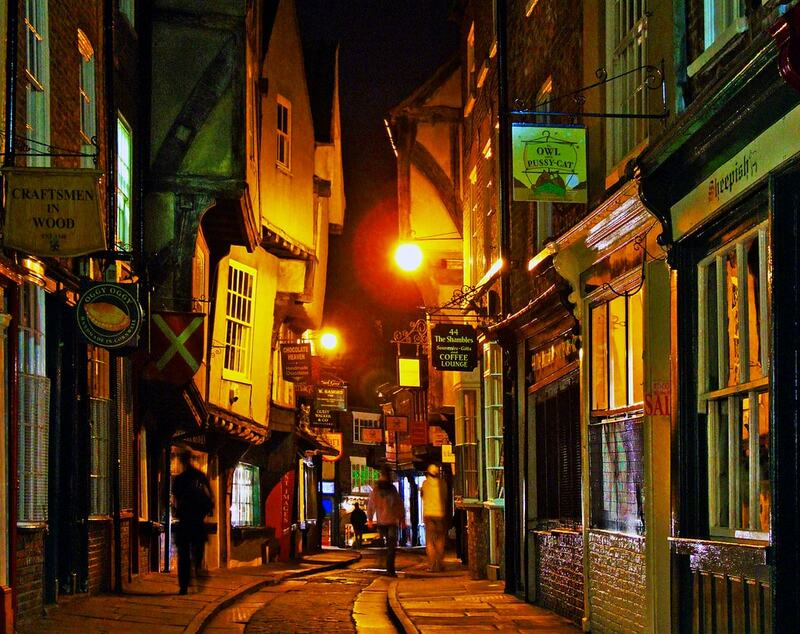 Did you know that the Original Ghost Walk of York was the very first ghost walk in the entire world? Established in 1973, this eerie tour of the city after dark is one of the best ways to learn about York’s illustrious history. Talented guides whisk you down back alleys and into hidden nooks and crannies, all the time theatrically telling the tales of some of the city’s most notorious spooks. Expect to walk away feeling a little bit afraid of the dark. York’s Viking heritage is one of the most interesting parts of the city’s history, so it’s no surprise that the JORVIK Viking Centre is among the most visited tourist attractions in the entire country. It was as recently as the 1970s that the remains of the Viking community in York was discovered beneath a shopping centre. 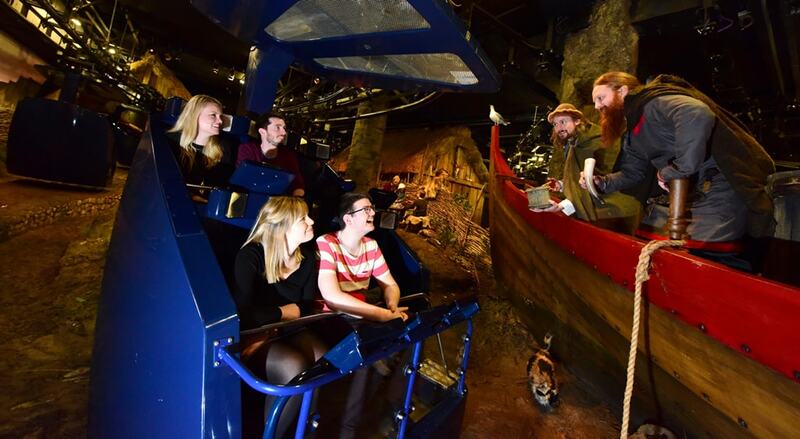 Following the discovery, the JORVIK Centre was created to take visitors underground to view an interactive exhibition profiling what life would have once been like. In 2017, the centre has undergone a drastic refurbishment, updating the ride experience and introducing state-of-the-art technology to the gallery exhibition. If you’re searching for a quintessentially British experience, you should head straight to Betty’s Tea Rooms on St Helen’s Square. This twee tearoom has been here since 1936, offering traditional afternoon teas alongside a variety of cakes and pastries. There’s nothing better than sinking down into a comfortable chair, pouring a cup of tea and nibbling on a scone while admiring your beautiful surroundings. York’s City Walls are were built in the 13th century and are the longest town walls in the whole of England, offering a two-mile, predominantly elevated route around the historic city. It takes around two hours to walk around the complete route, taking in impressive views of the medieval buildings, river and ramparts along the way. York is famed for its many quirky bookshops, offering an incredibly impressive collection of rare, antique and second-hand tomes. There are many small and specialist book stores to discover on the winding streets of the city centre, but two in particular are famed for their collections. Lucius Books is beloved of collectors thanks to its selection of first-editions and signed copies, and Fossgate Books is perfect for anyone with niche interests, thanks to its staggering array of books dedicated to unusual subjects. 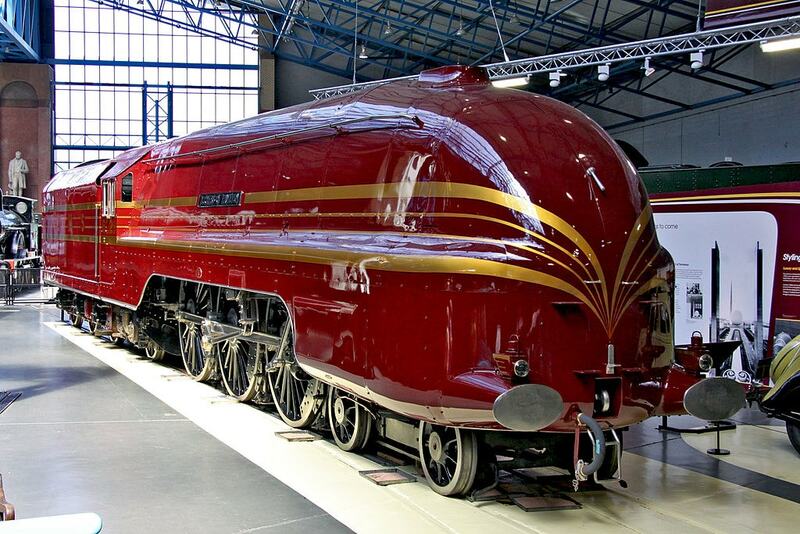 If you’re interested in locomotives, there’s no better destination than York. The National Railway Museum has its home here, displaying over a million different objects related to the history of the railway. Alongside an impressive collection of trains and related paraphernalia, including the only Japanese Bullet Train outside of Japan, the museum also offers a variety of fun activities to keep children happy. See the city from a different perspective by taking to the water and enjoying a relaxing cruise along the Rivers Ouse and Foss. Yorkboat offers several cruises of different lengths that allow visitors to sit back and enjoy the views while listening to interesting facts about the city’s history. There are so many pubs in York that it would be impossible to try them all during one trip! 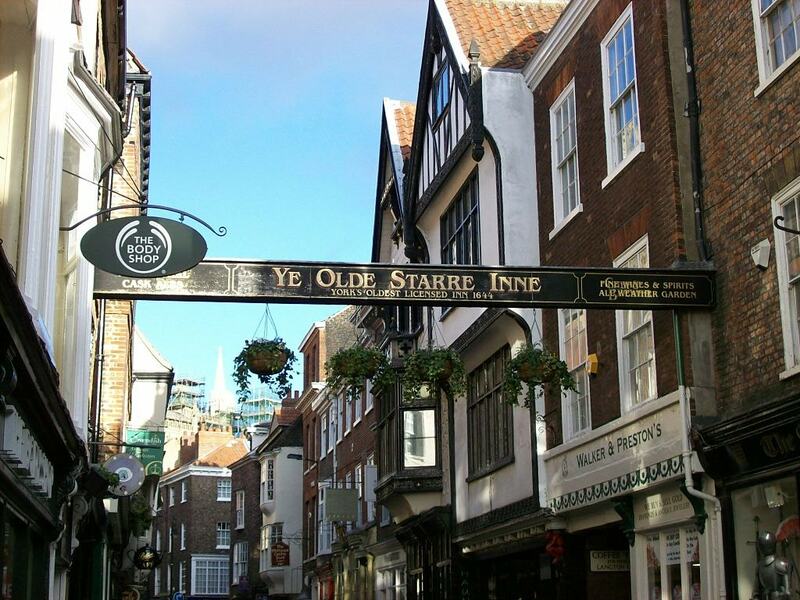 Scattered all across the city centre you will find an array of traditional pubs dating back to 1644 (Ye Olde Starre Inne). Be prepared to duck under beams, wait a while for a seat and sip local ale as these pubs tend to be small and cosy, boasting open fireplaces and locally brewed beer. Two of the biggest chocolate brands in the entire world, Rowntree’s and Terry’s, were founded in York, and chocolate has been made in the city for over 300 years. A visit to York’s Chocolate Story is essential for any chocoholic; not only will you learn the history of chocolate making in York, but you’ll also have the chance to sample a selection of delicious delicacies along the way before finishing your tour in the Chocolate Bar.